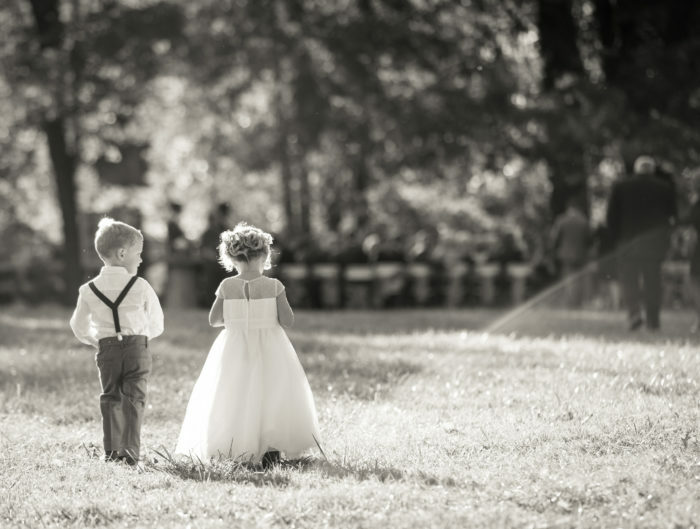 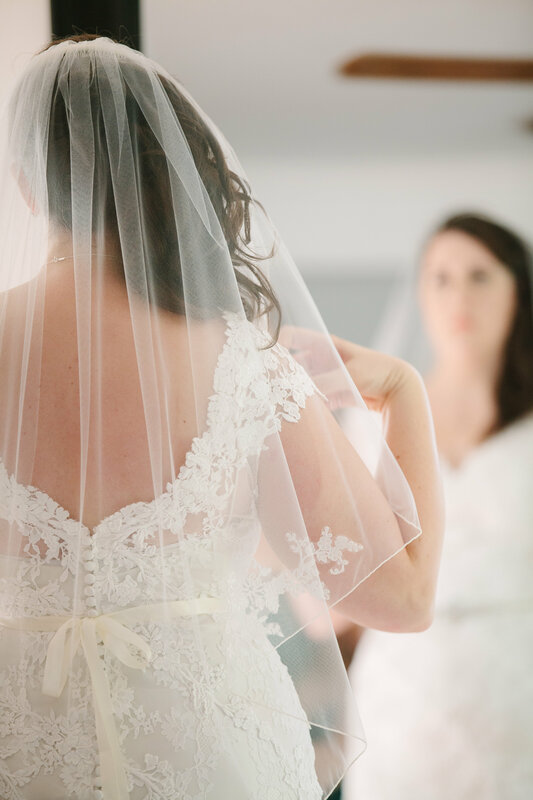 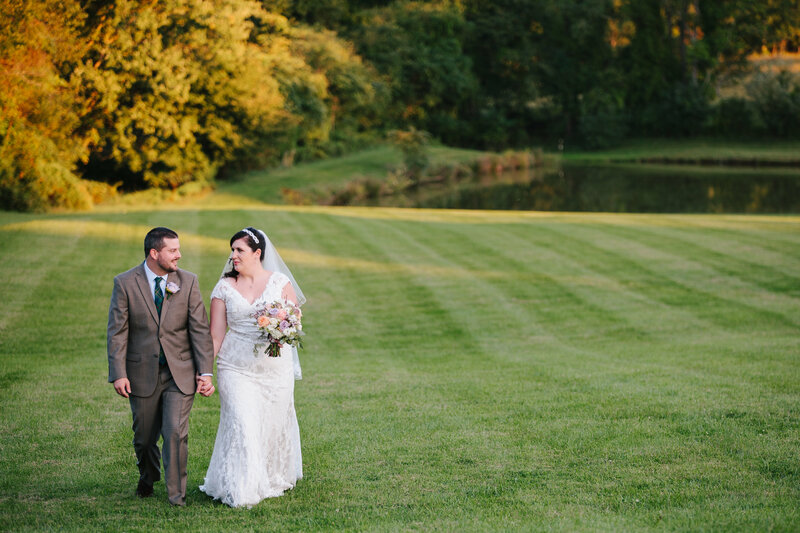 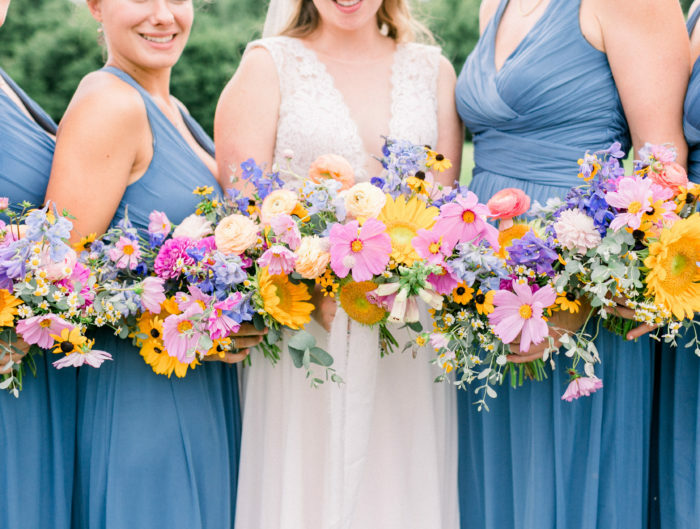 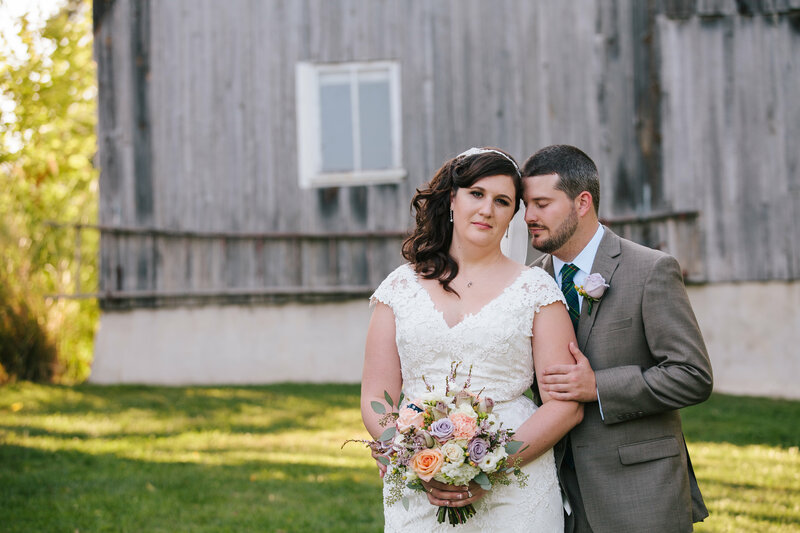 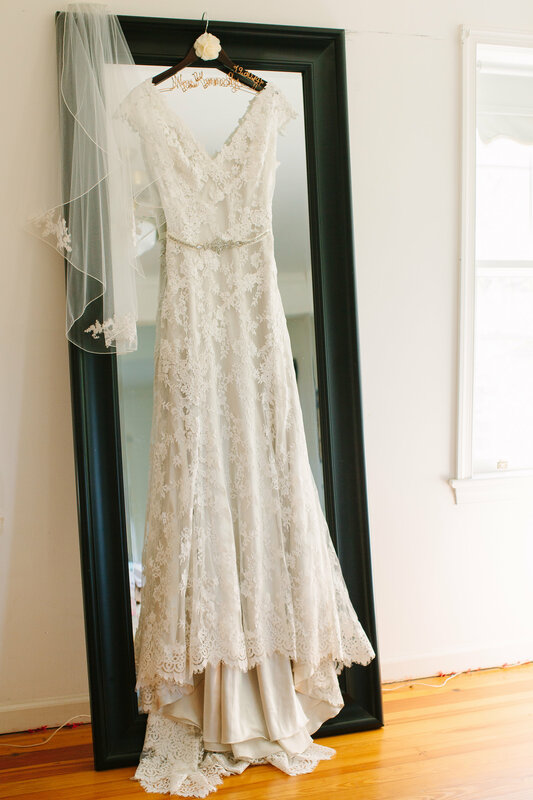 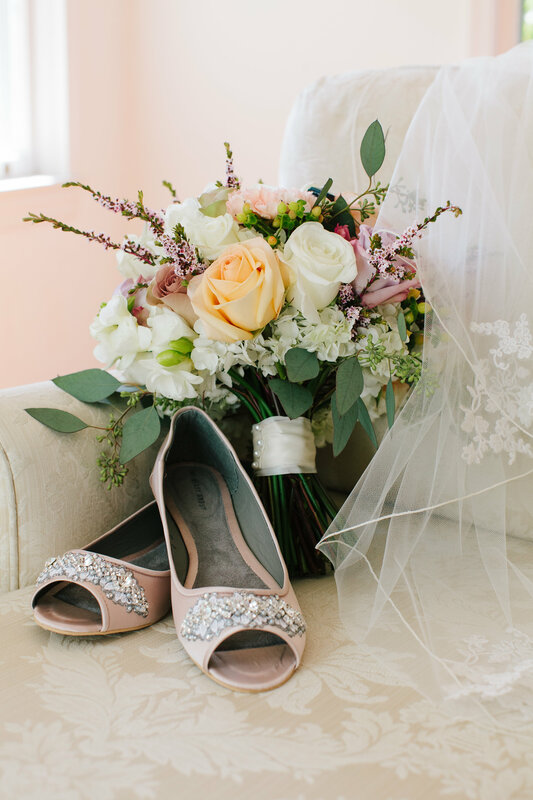 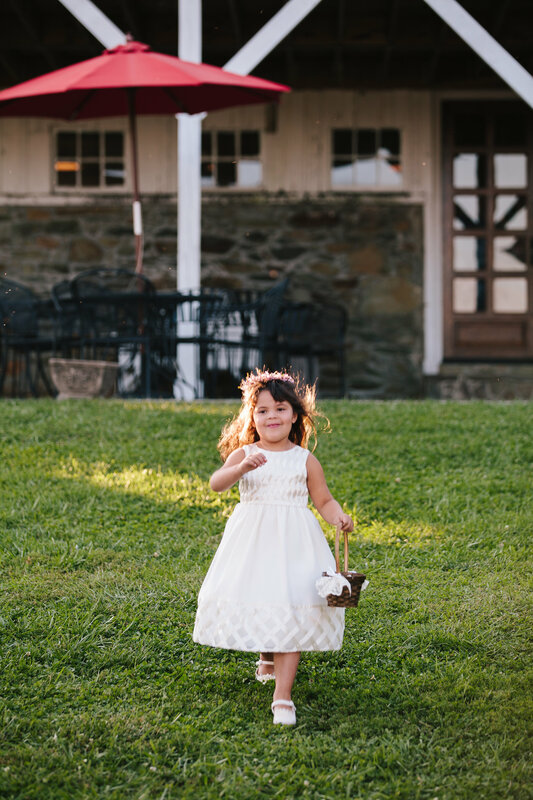 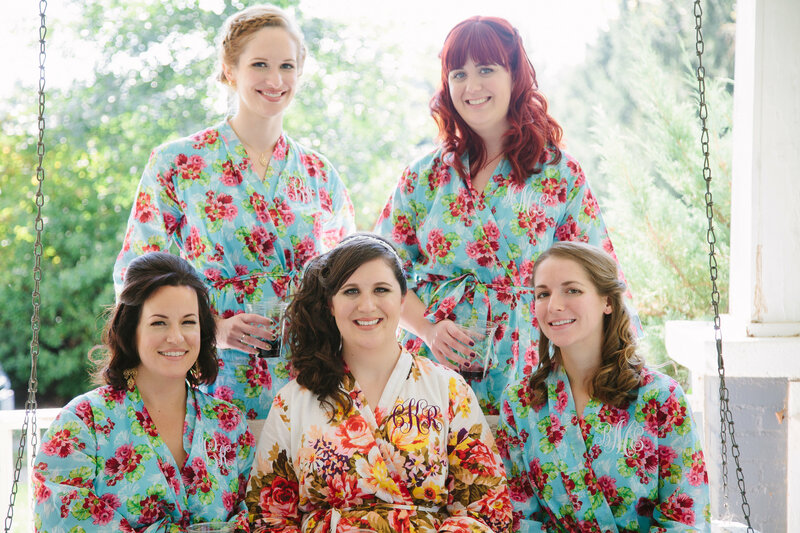 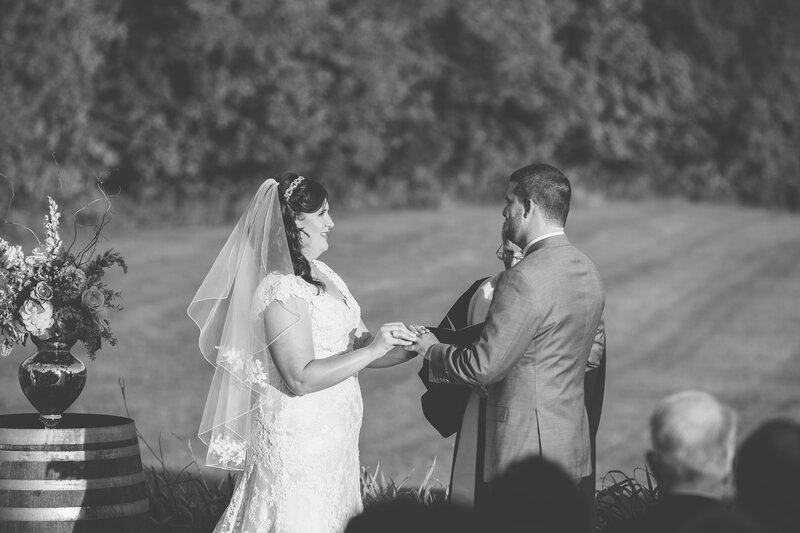 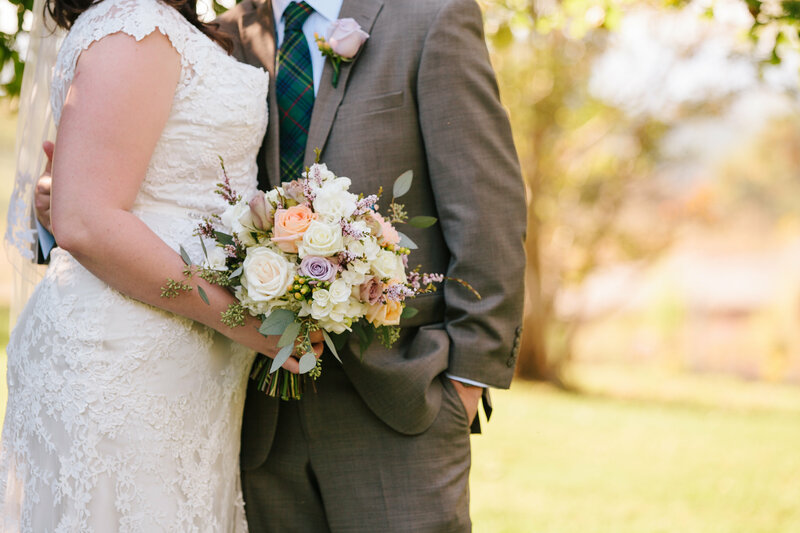 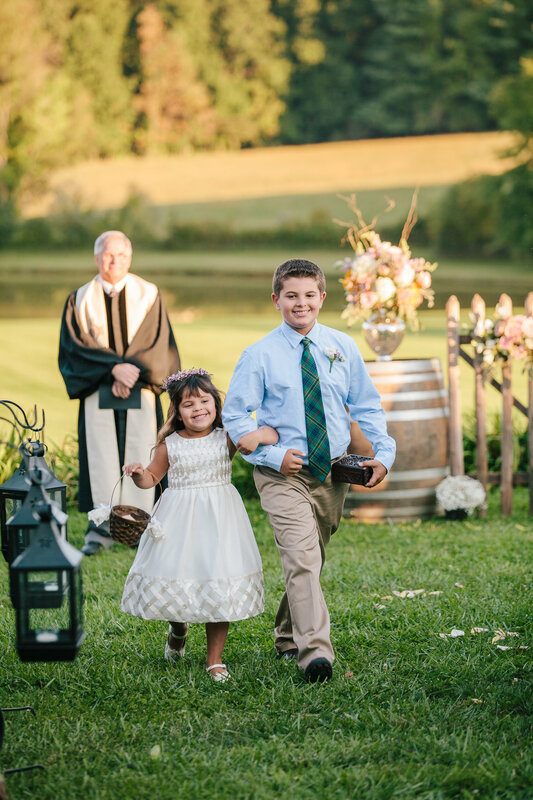 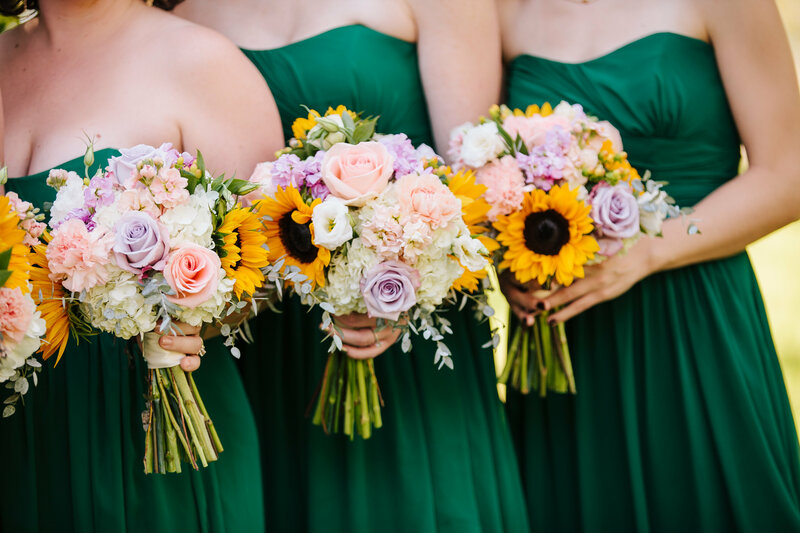 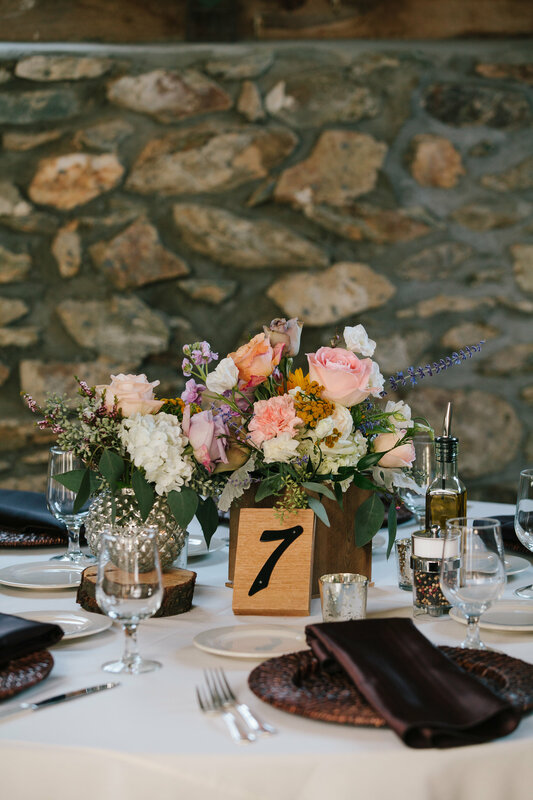 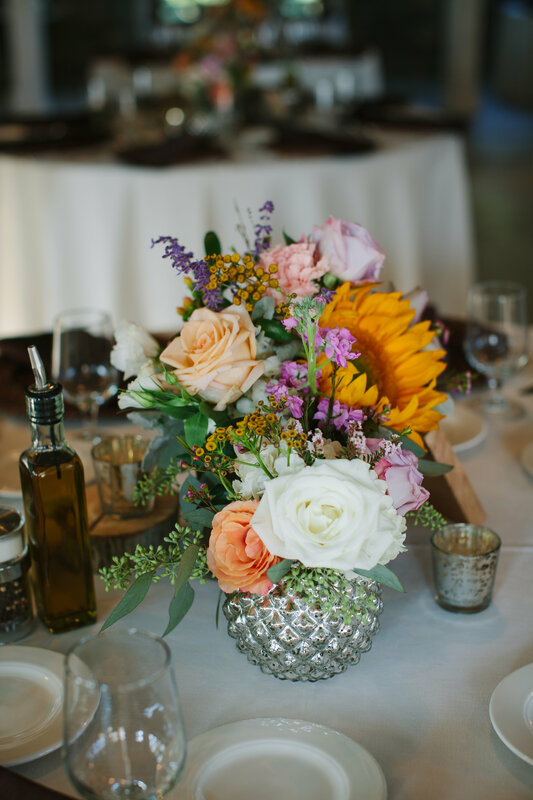 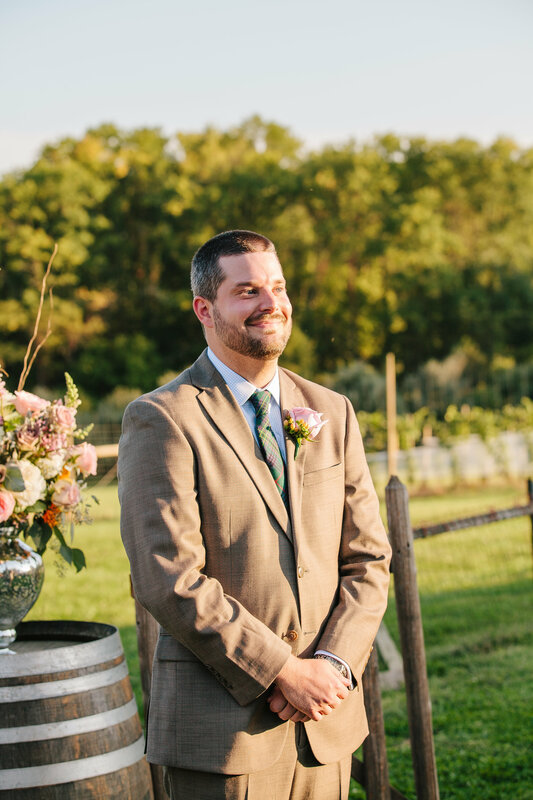 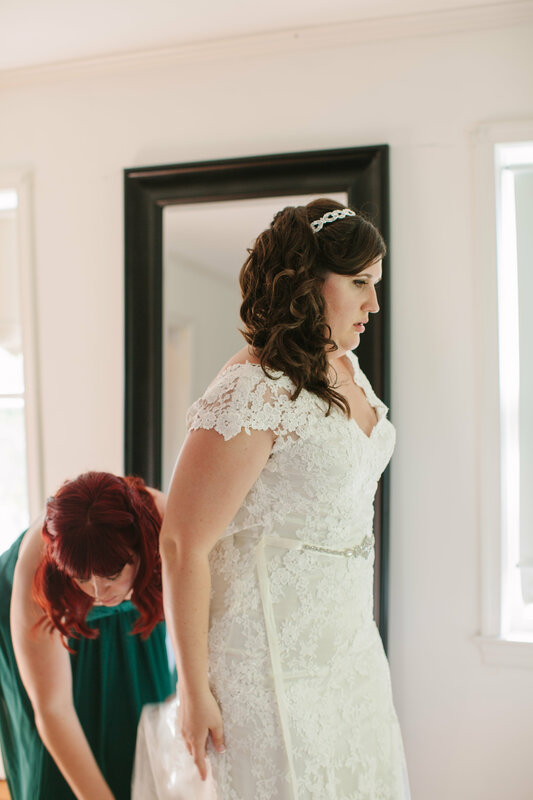 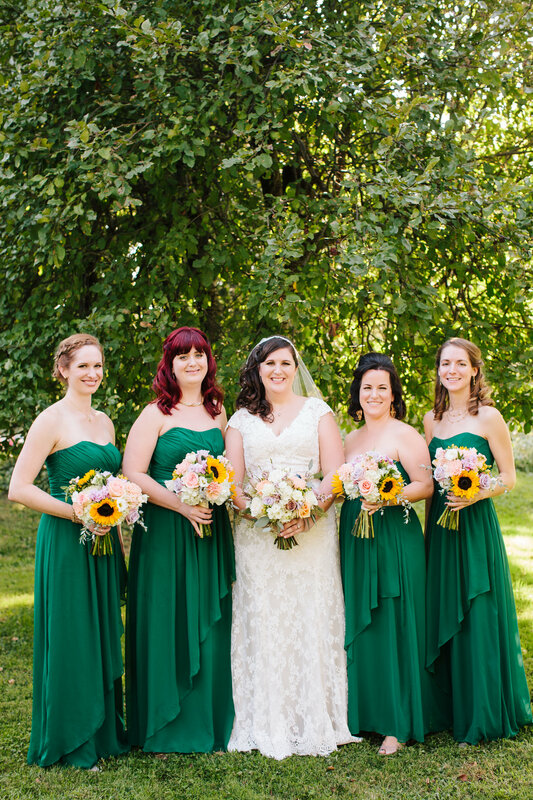 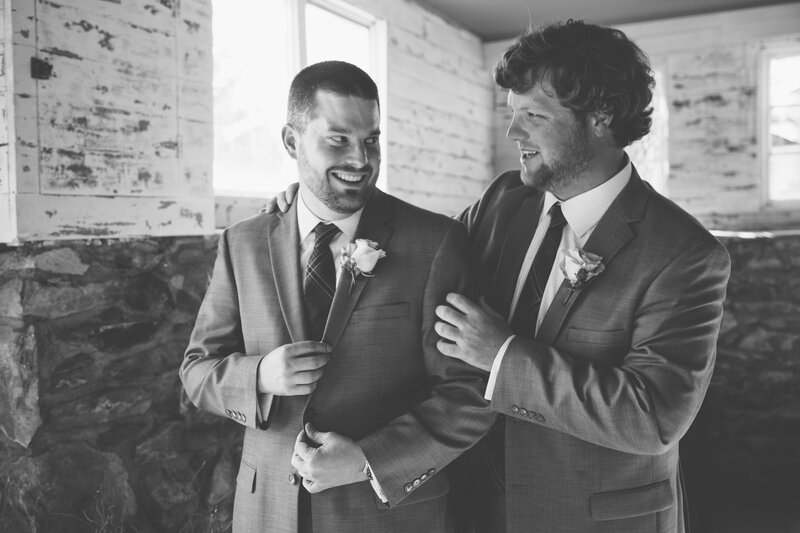 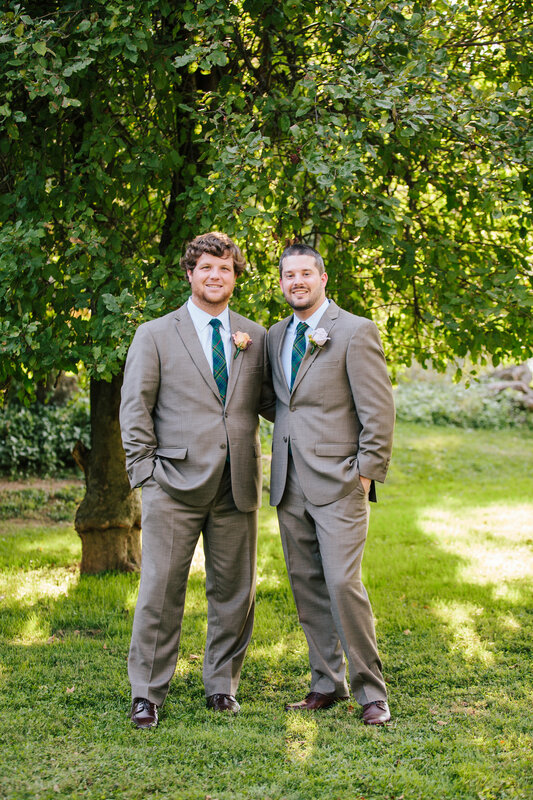 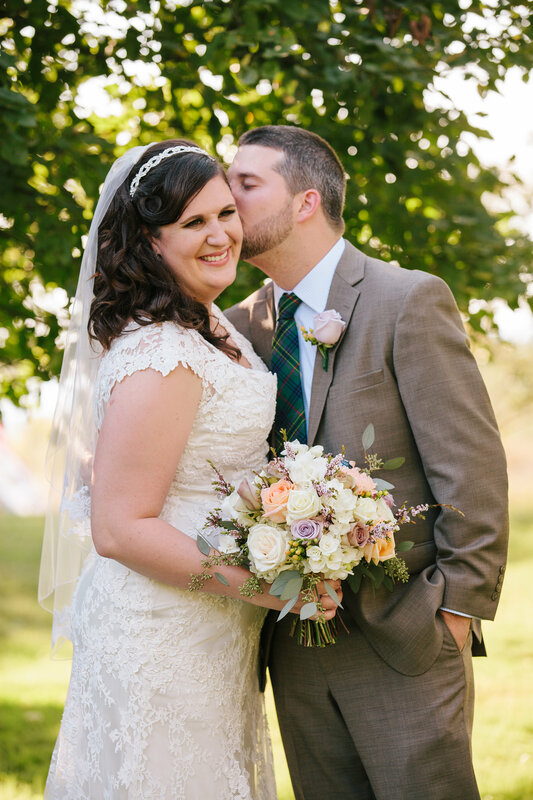 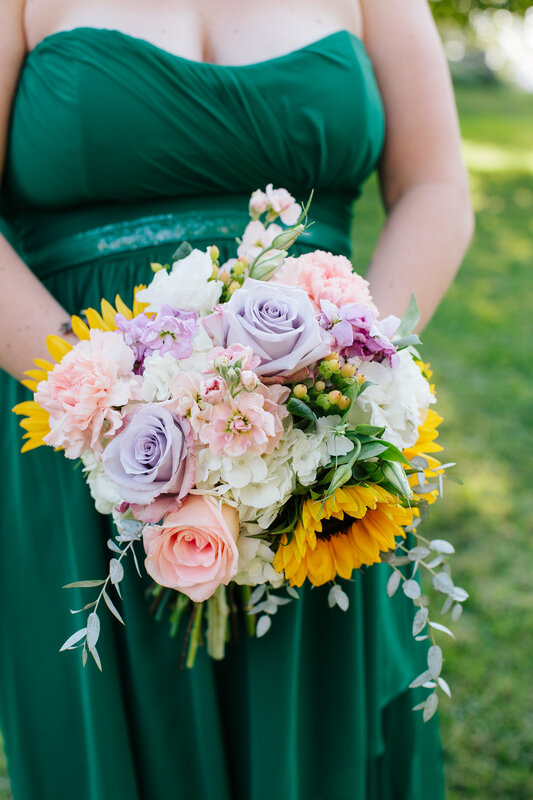 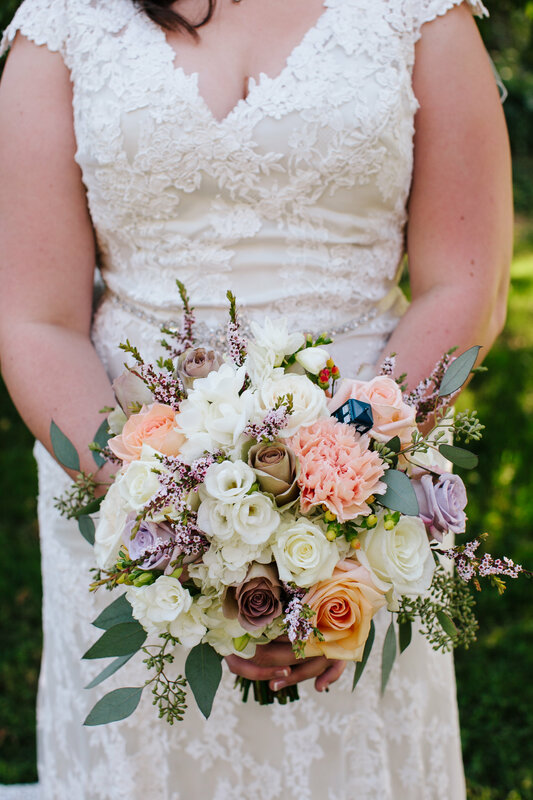 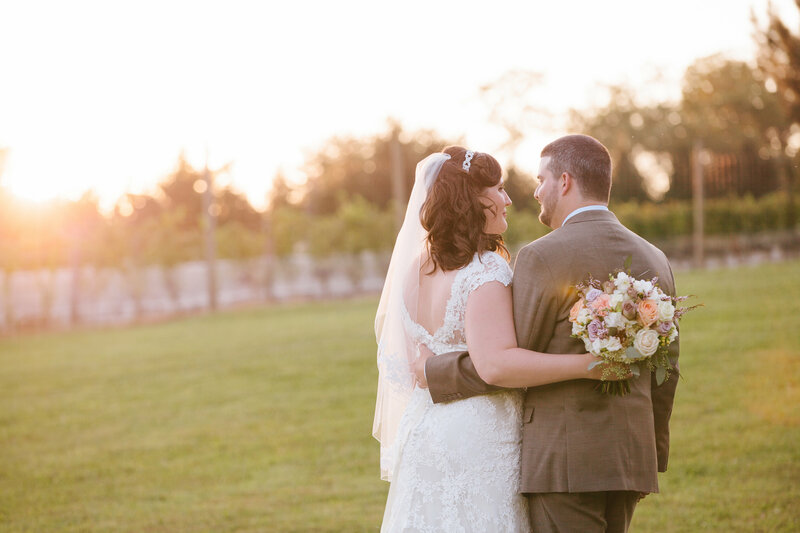 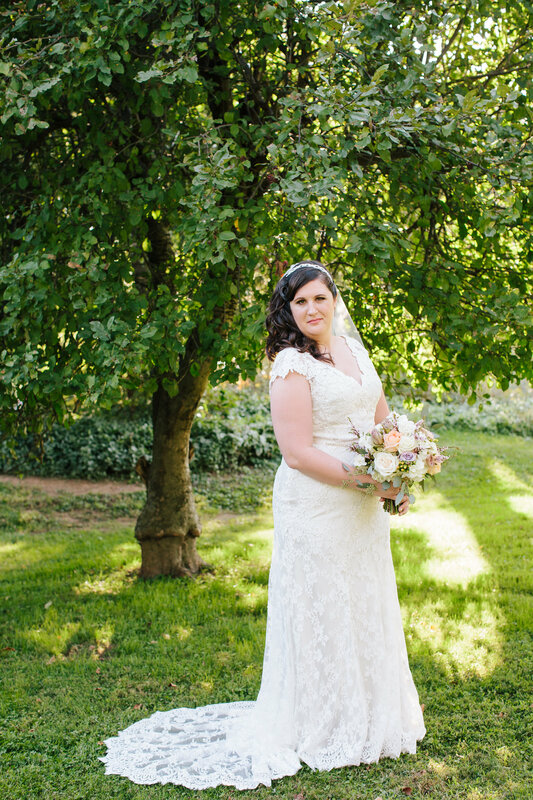 What can we say about Carly and Brian’s Northern Virginia Barn wedding? 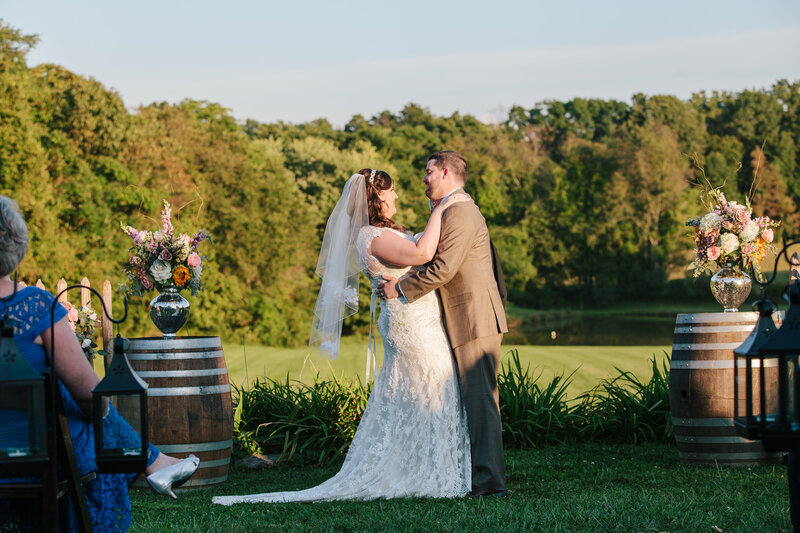 Well, for starters we wish we had been on the guest list because they look like a couple who know how to have a great party! 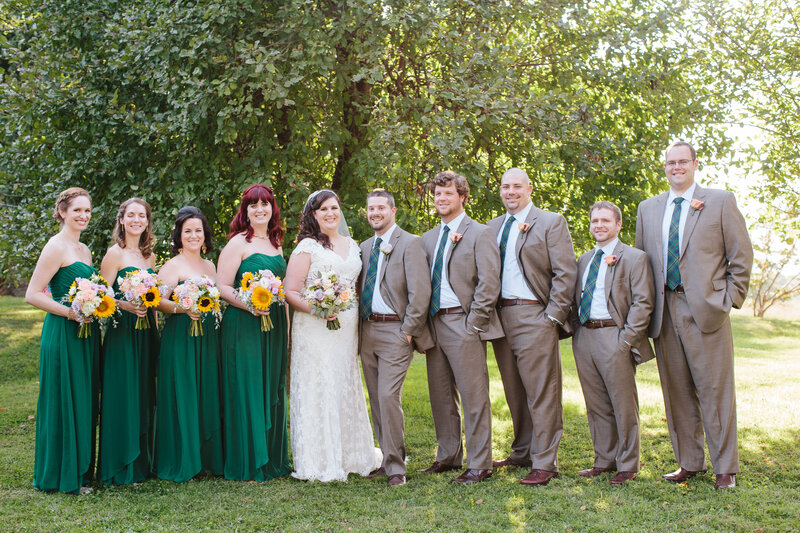 The couple have been dating since college, for over 9 nears, and their friends and family were so excited to finally be able to celebrate them as newlyweds! 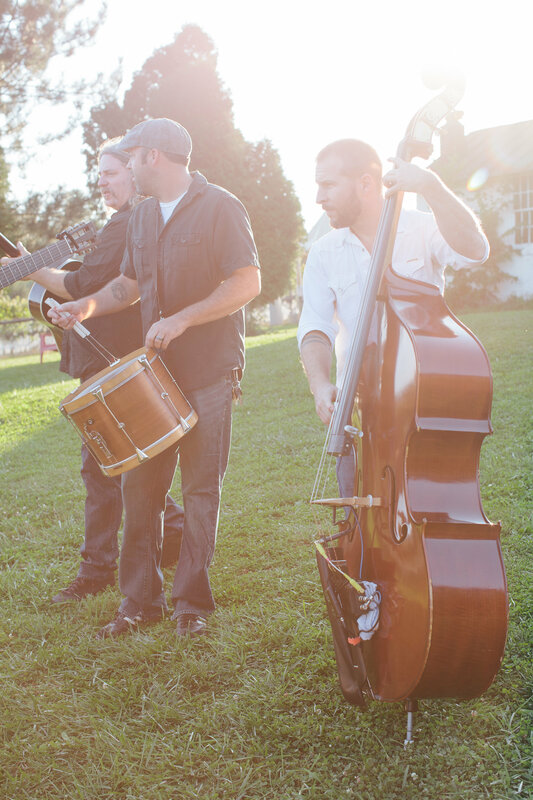 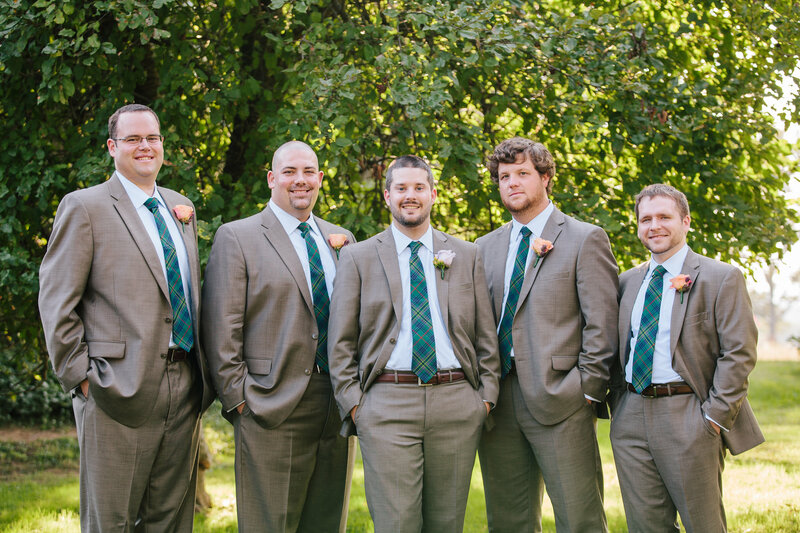 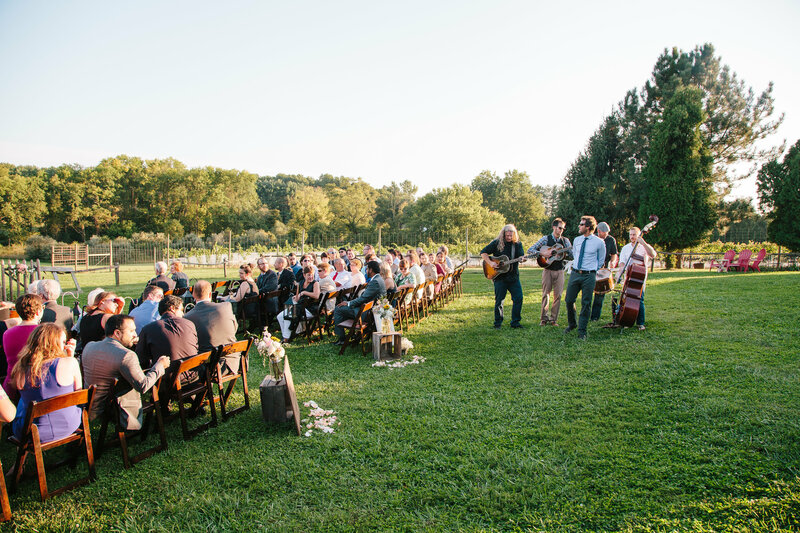 When trying to decide what was most important in the planning stages they knew one thing was for certain, they absolutely must have the perfect wedding reception band. 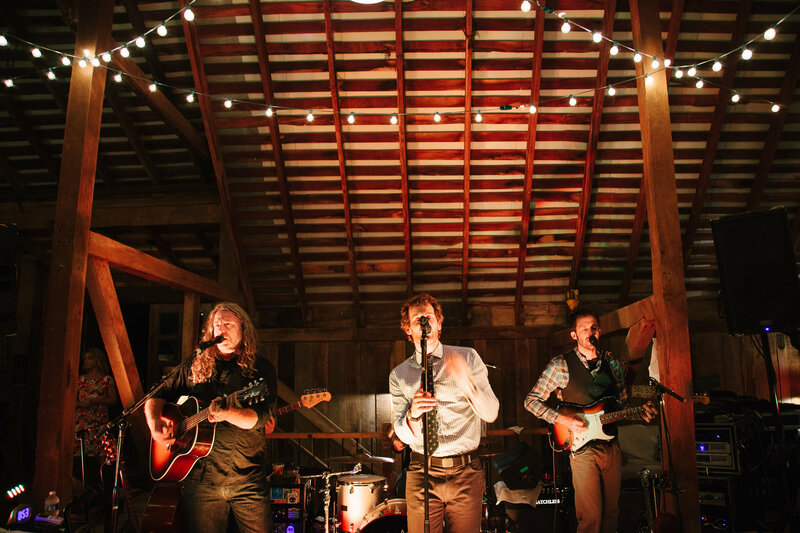 The couple are Carbon Leaf super fans, so they went for a big leaf and reached out to them to play at their wedding. 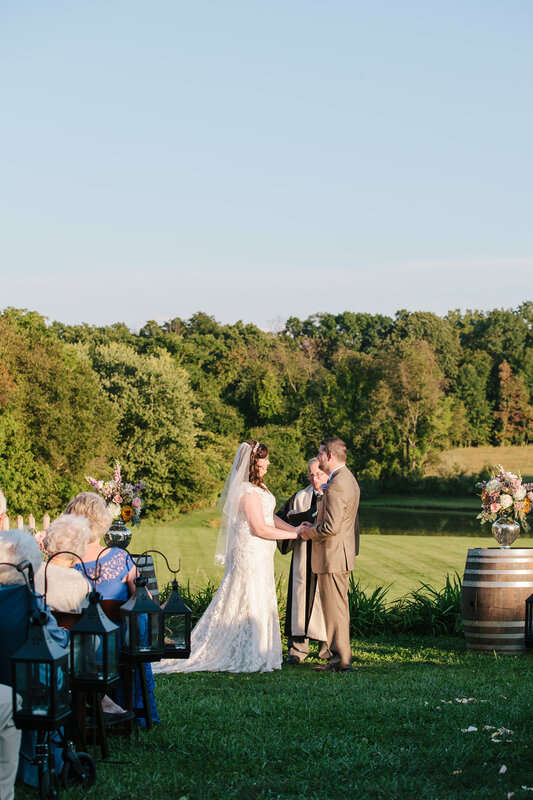 Although they said it was a small splurge on their budget, for the bride, seeing the band as she entered the ceremony playing her processional music was a unforgettable moment and worth every penny. 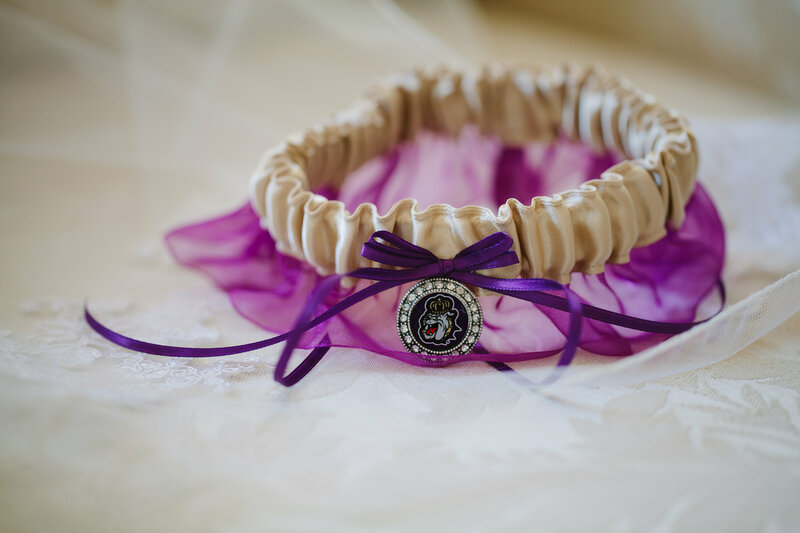 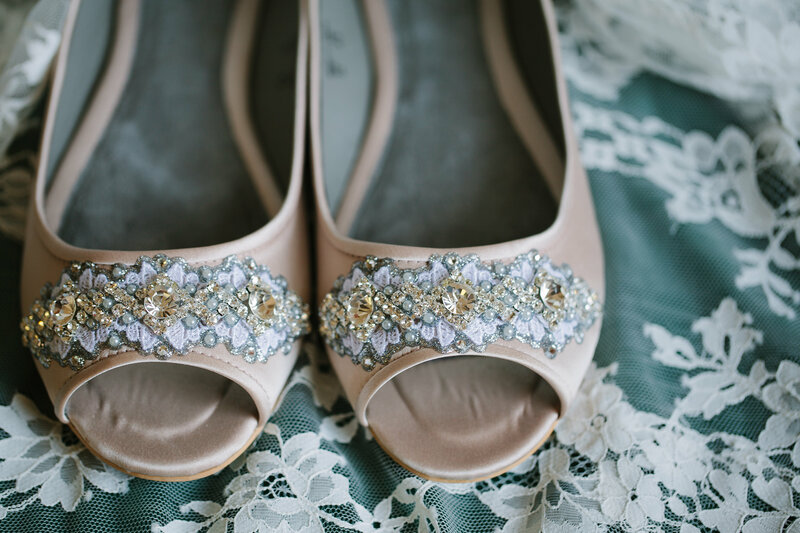 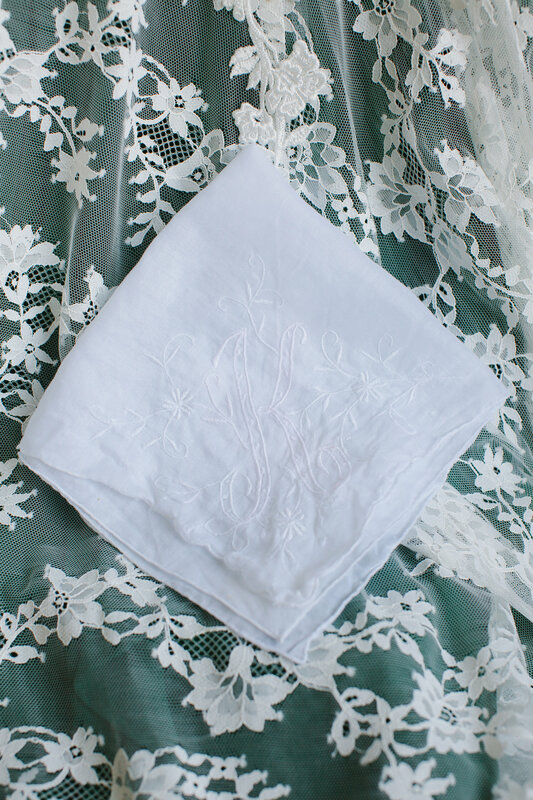 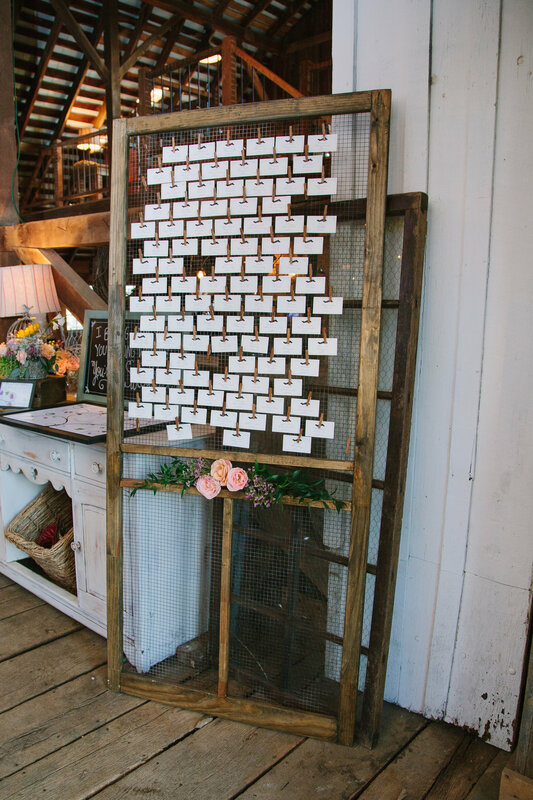 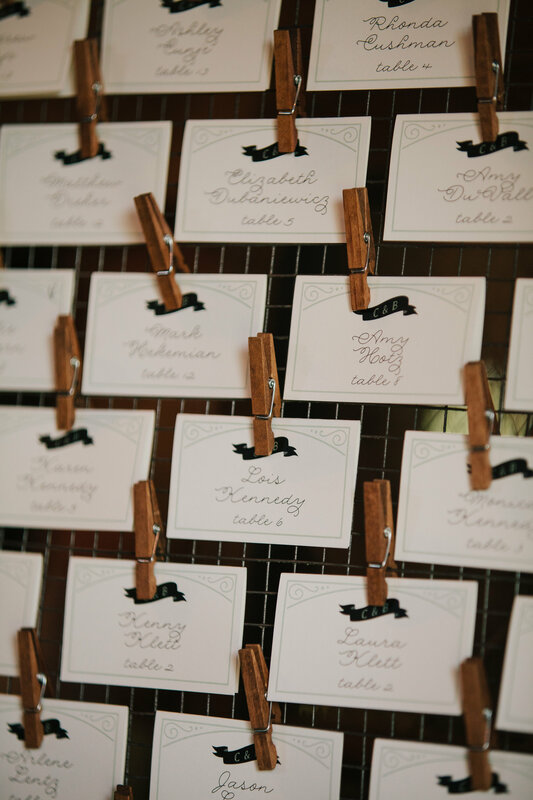 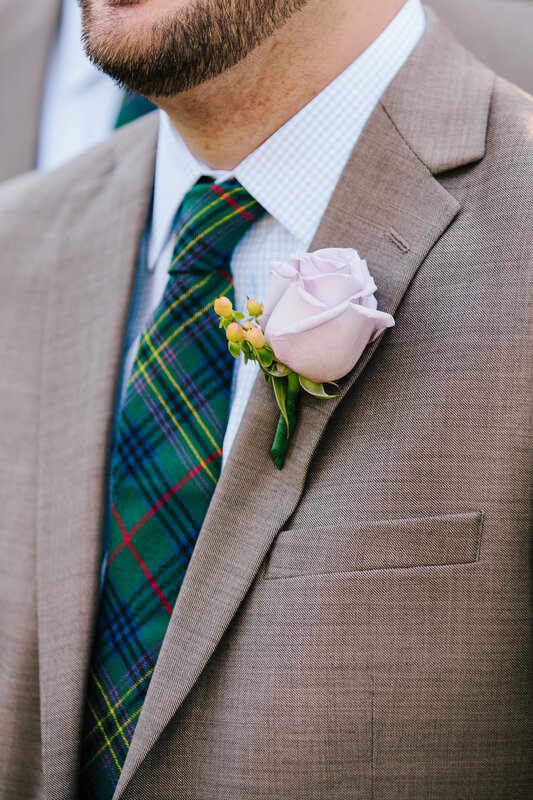 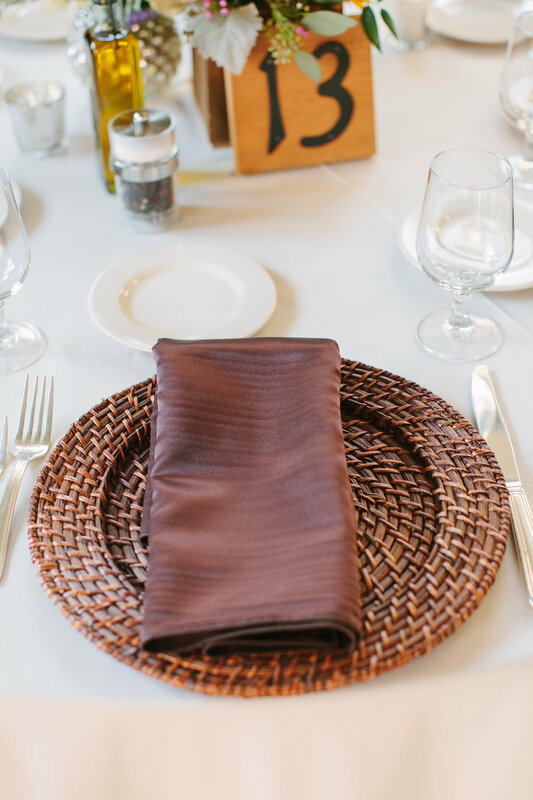 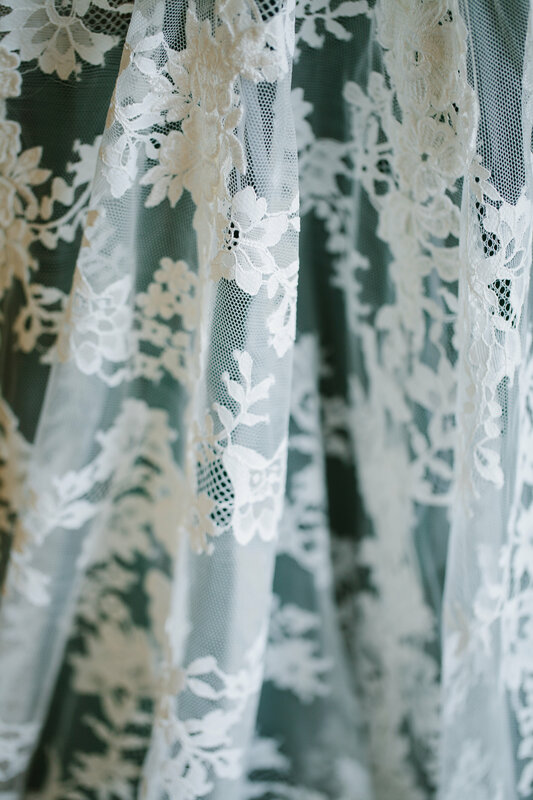 We love how they prioritized the details that were the most important to them and were able to have something so special as a part of their wedding day. 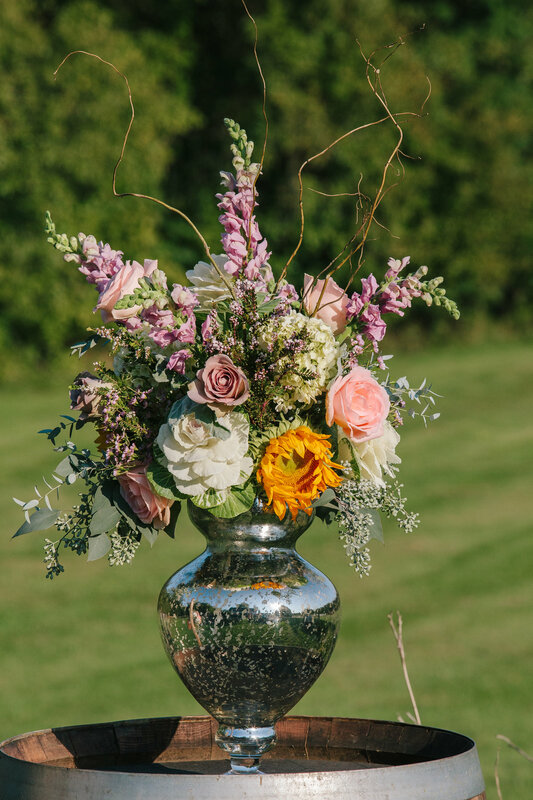 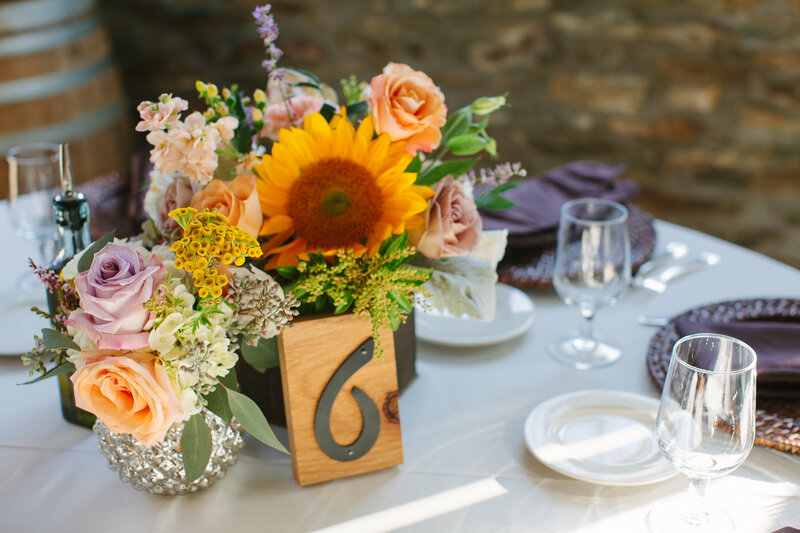 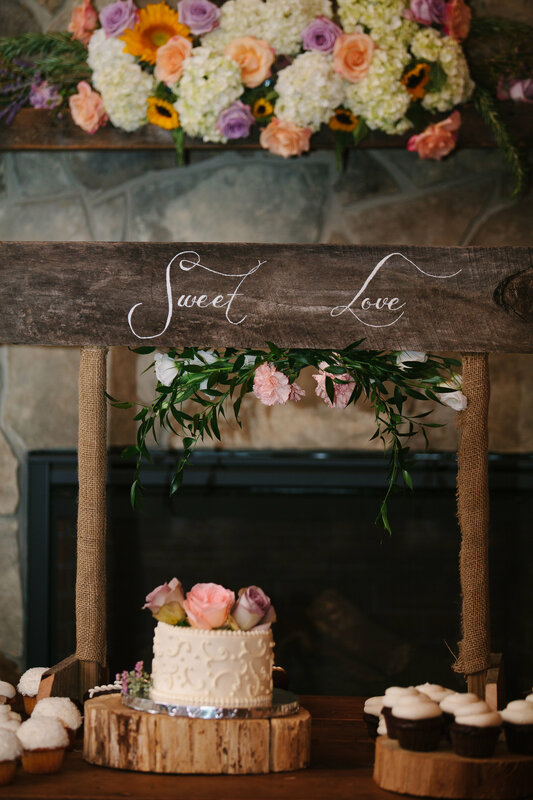 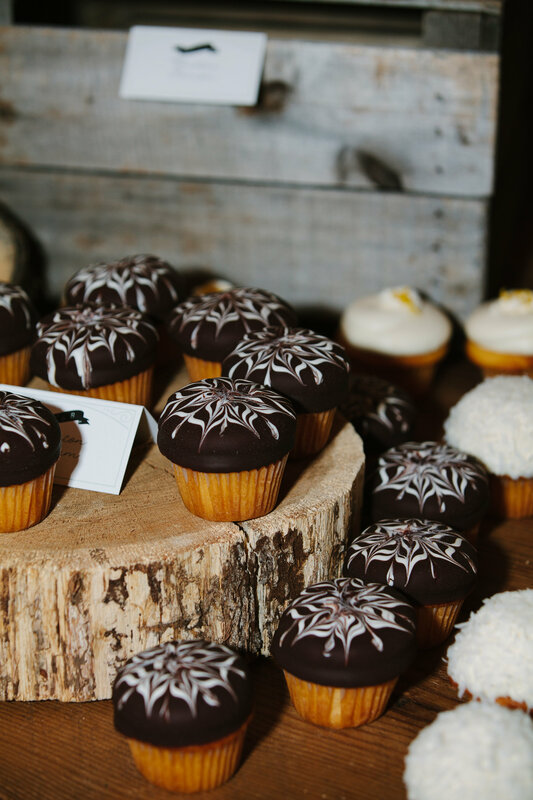 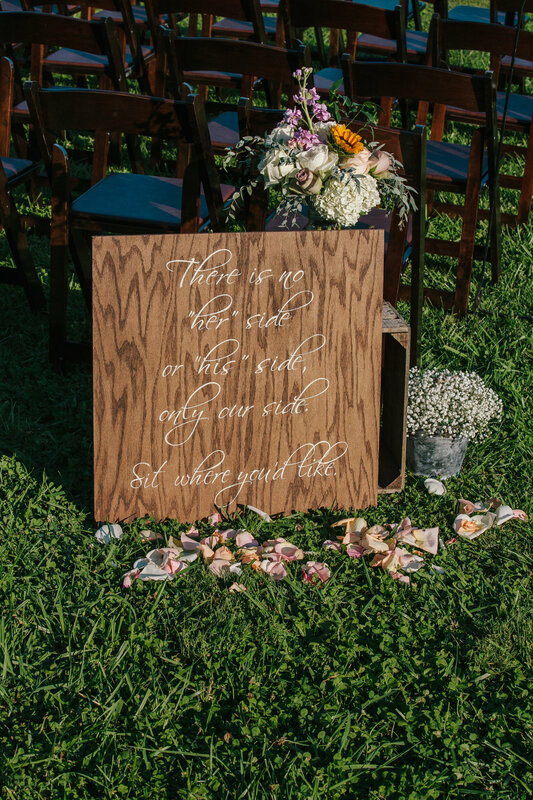 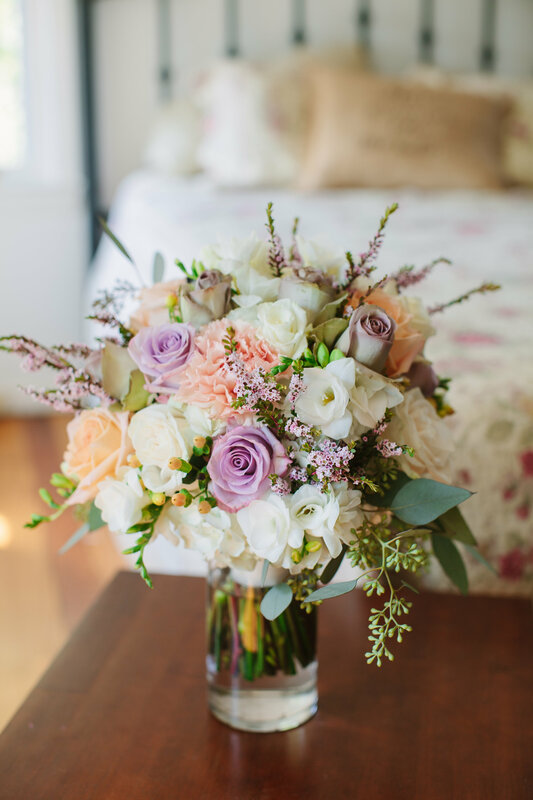 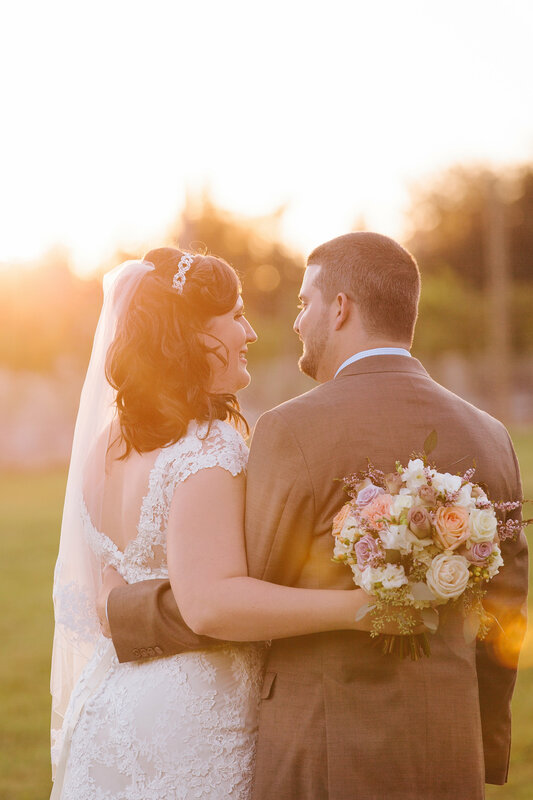 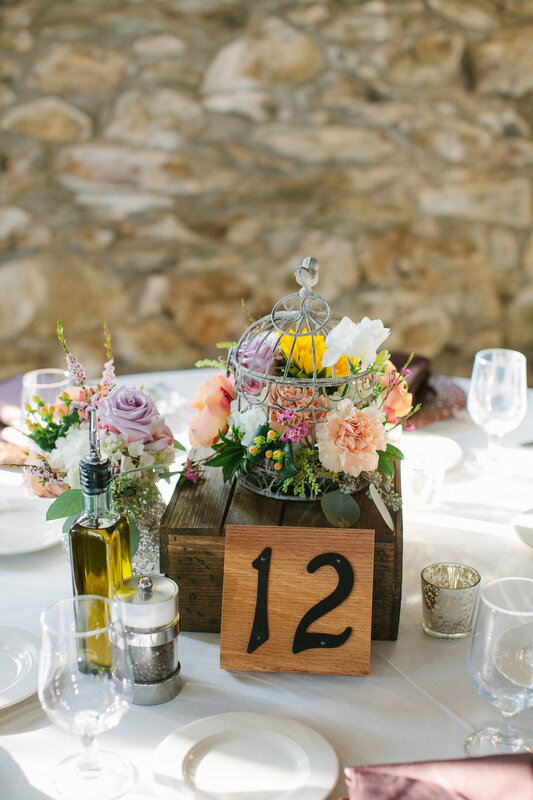 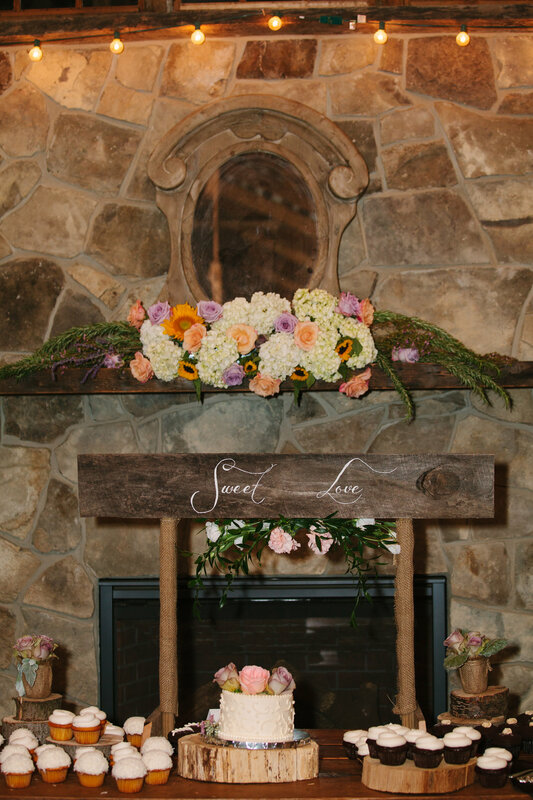 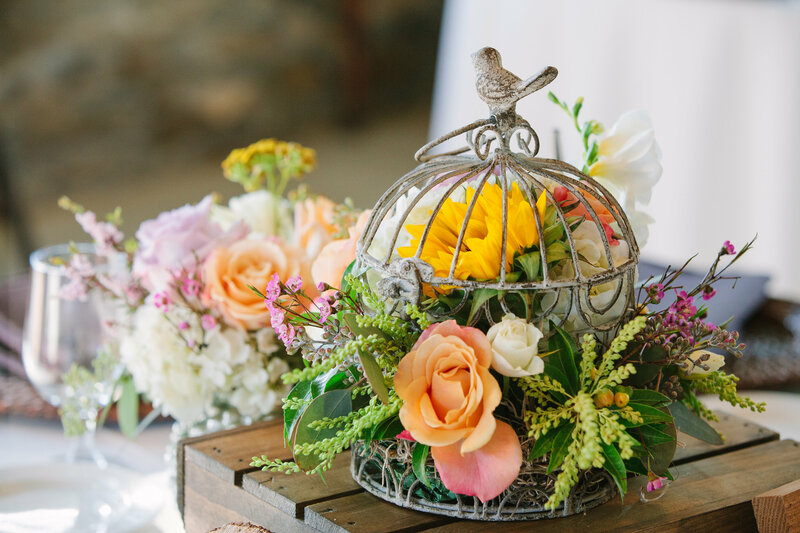 A big thank you to United with Love vendor guide member Birds of a Feather Photography for sharing this rustic Hamilton wedding with us today! 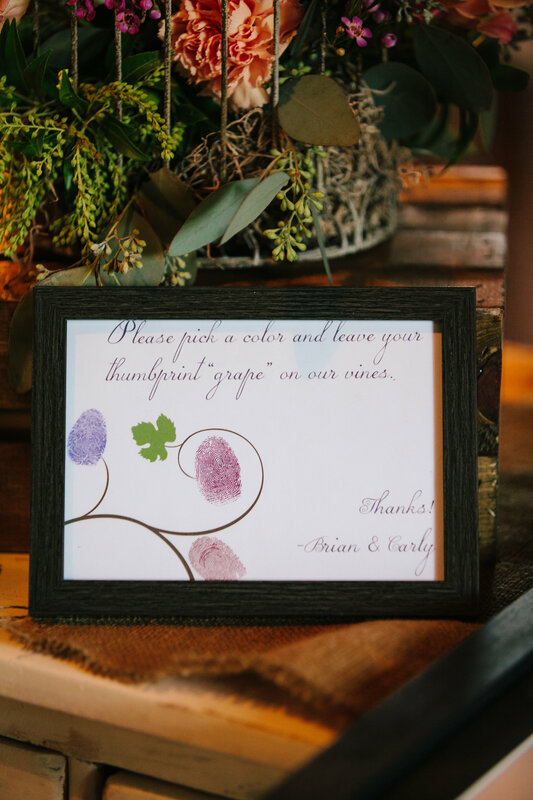 Personal touches: “In choosing our vendors, we put emphasis on finding people with which we could take a hands-off approach, and who we trusted to use their skills to provide us with a final product we knew would be amazing. 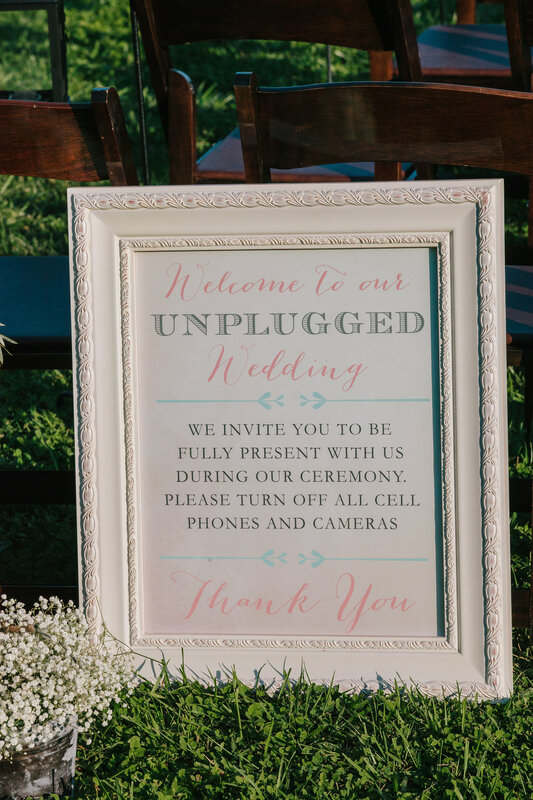 We were able to let them be creative, and do their thing, and it was great! 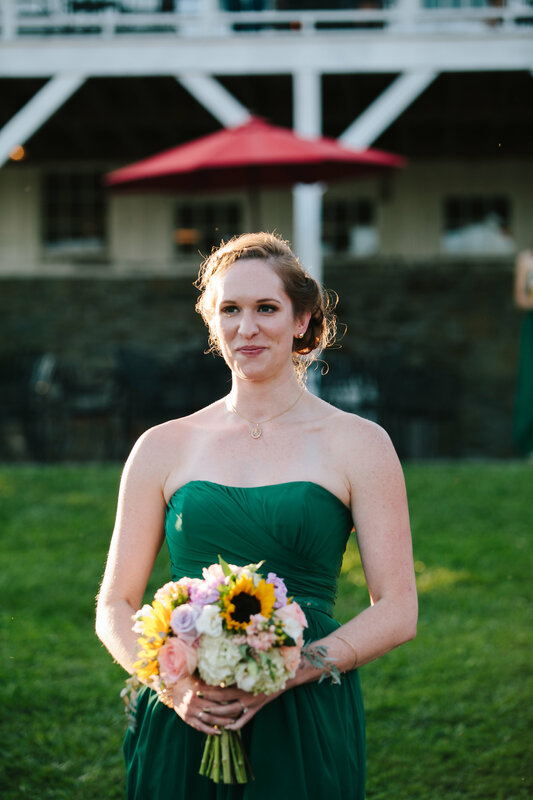 I had a TARDIS, from Dr. Who, in my bouquet as my “something old, something new, something borrowed, something blue.” I’m a pretty huge nerd, so this was my way of slipping that part of myself in there. 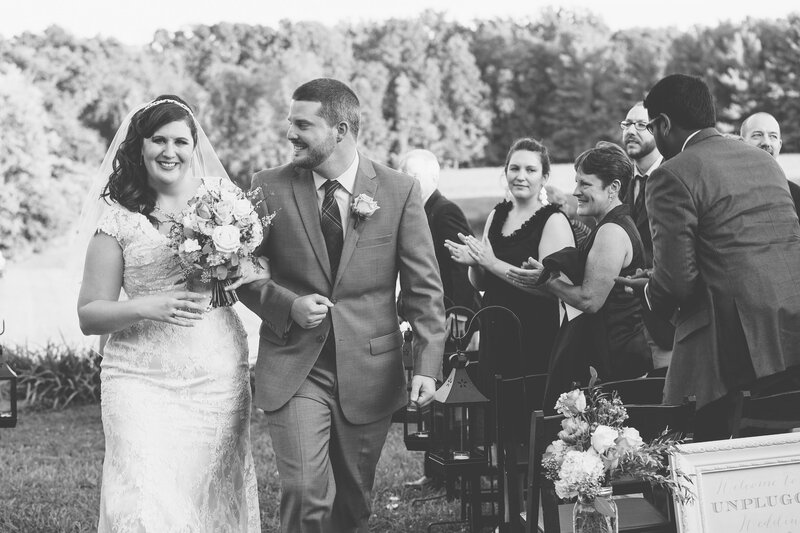 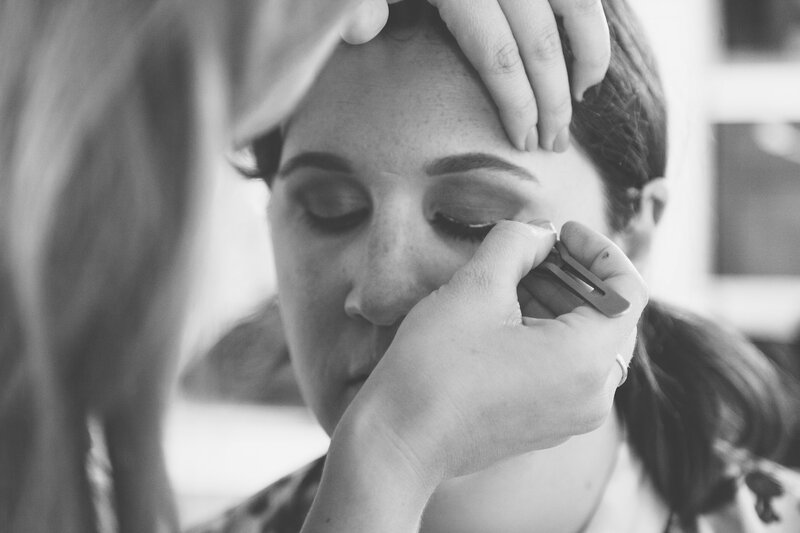 Favorite Moments from the Bride: “The whole day was kind of a big, happy blur for me. 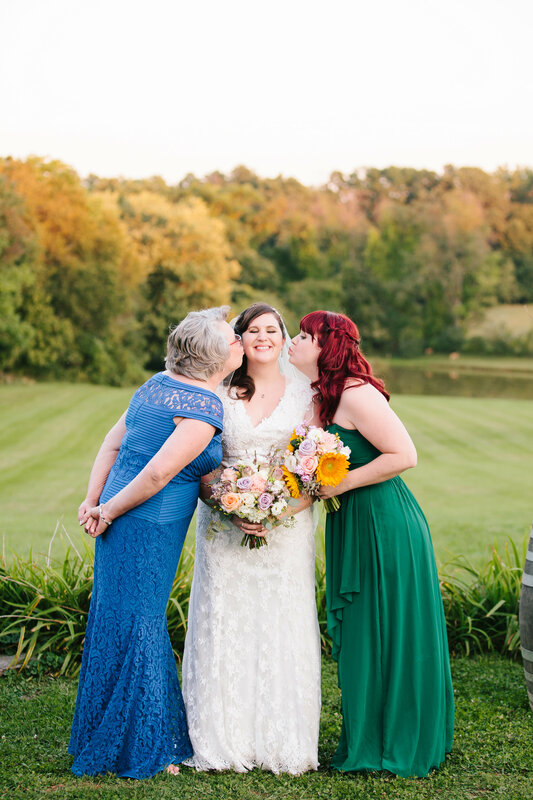 My mom sang a silly song to me as she walked me down the aisle. 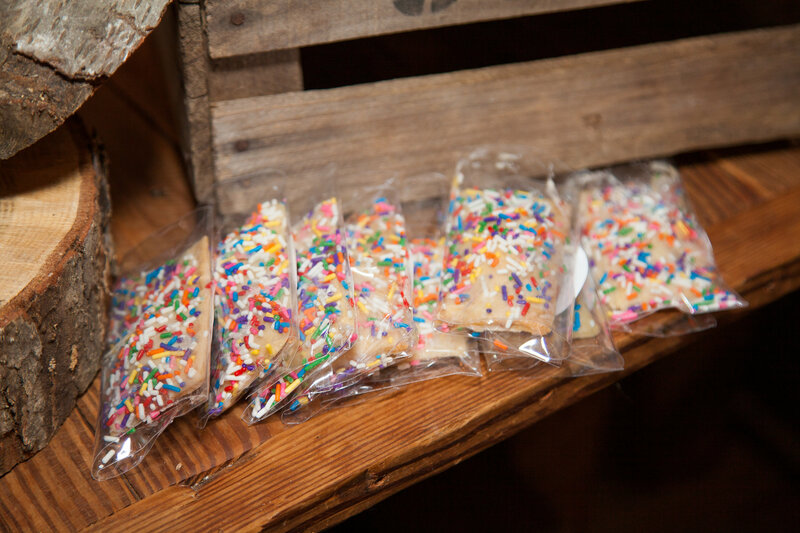 My sister and her friends trying to make more noise at their table than Brian and I’s friends from college at dinner. 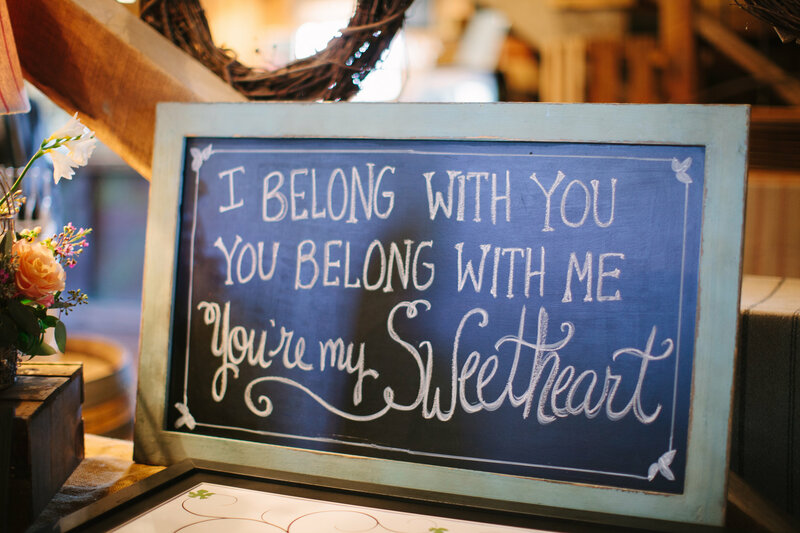 Seeing everyone in one place at one time, feeling the warmth and love in the room and just a glow of happiness over everything- it sounds cheesy, but that feeling is what I remember most. 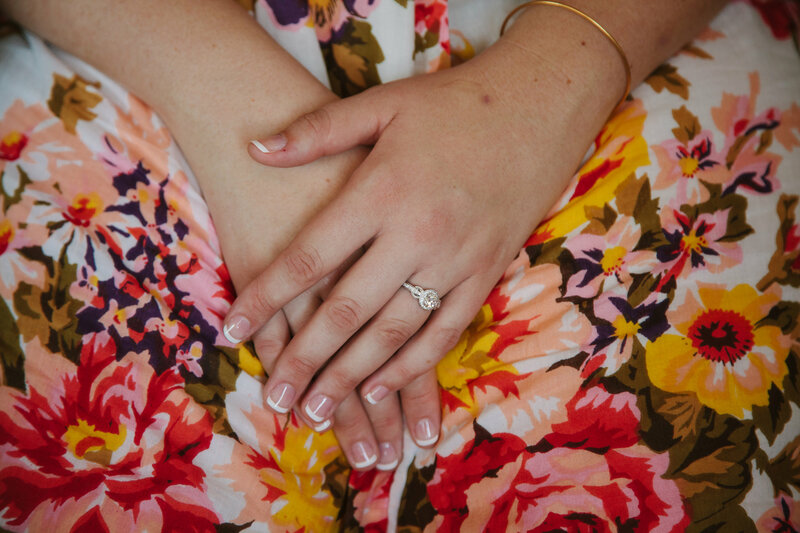 Congratulations to Carly and Brian! 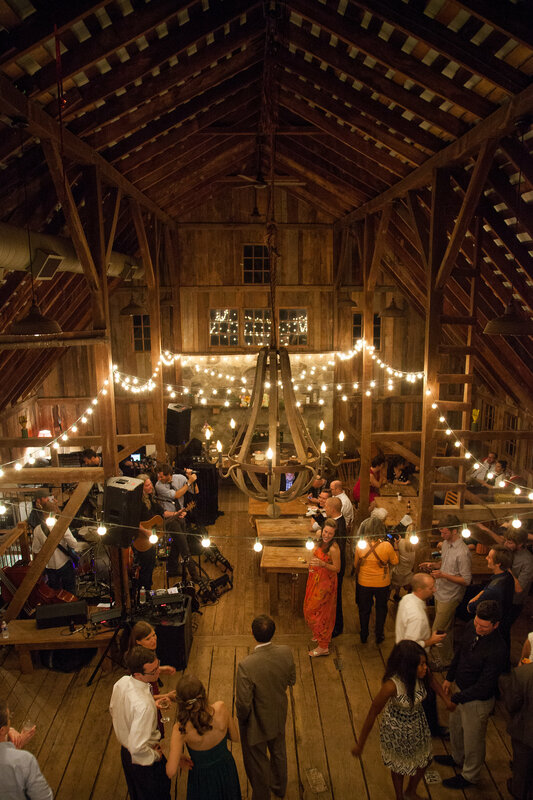 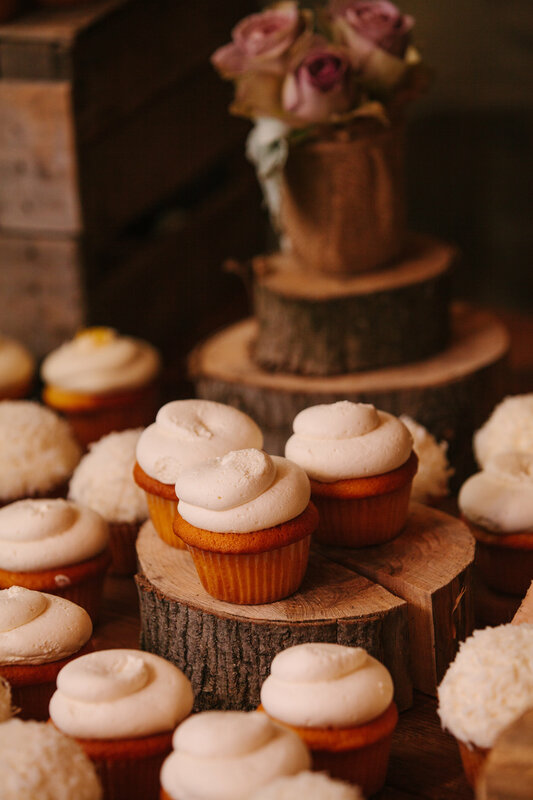 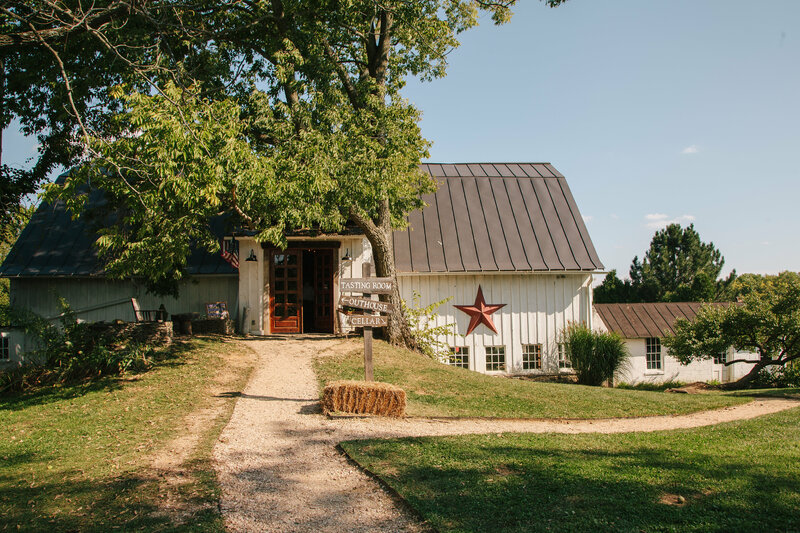 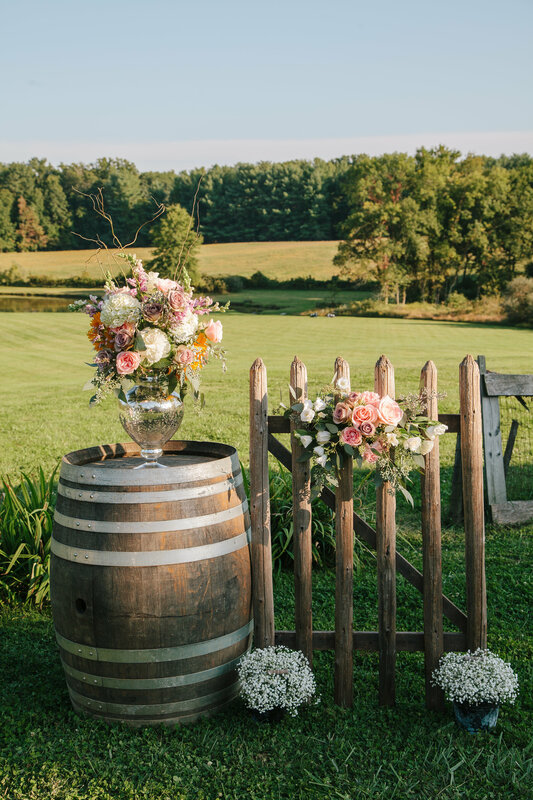 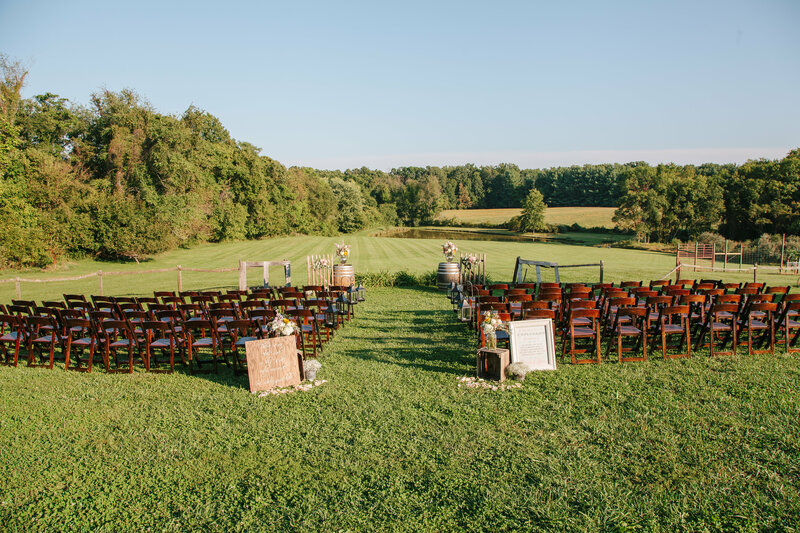 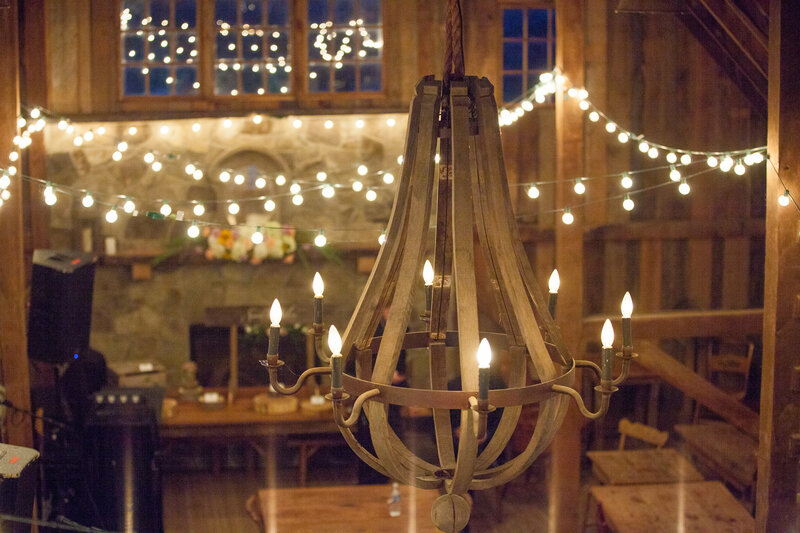 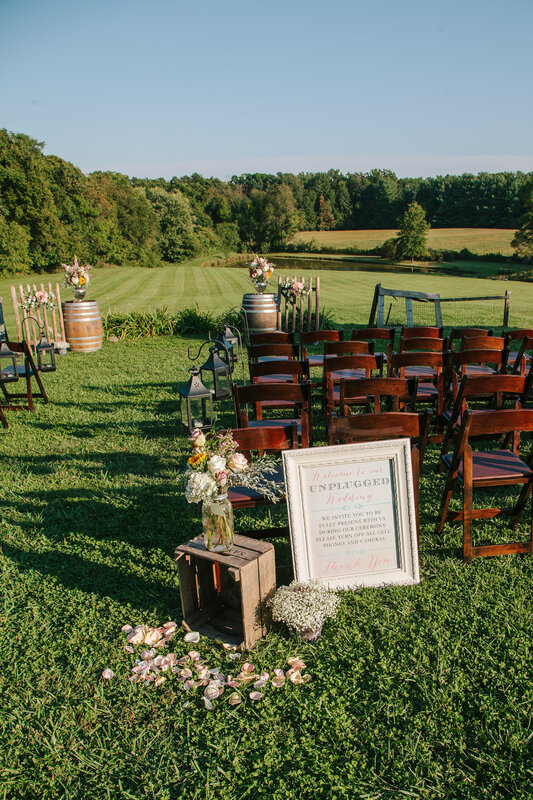 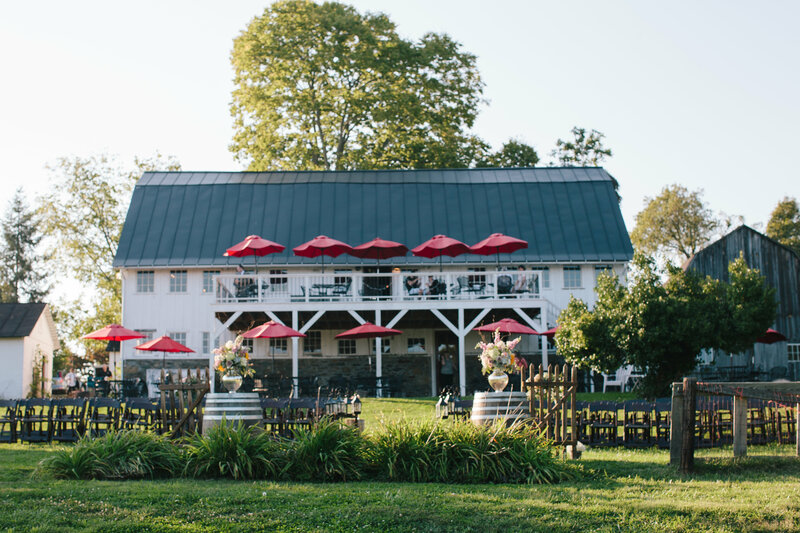 Thank you for sharing your Northern Virginia Barns at Hamilton Station wedding with us!